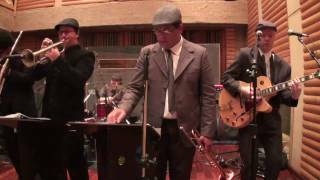 The brain-child of musician/producer Sérgio Soffiatti and trumpeter Felippe Pipeta, Orquestra Brasileira de Música Jamaicana (Brazilian Orchestra of Jamaican Music/OBMJ) came together with the idea of bringing classic rocksteady rhythms ofJamaica to their native Brazil. A powerful nine-piece band, OBMJ are masters of the dance floor, bringing traditional reggae grooves with loving precision and massive respect for the art that is ska music. Last year they gave the world their second full-length album, Obmj Ataca!, a ska tribute to the Tim Burton classic Mars Attacks! 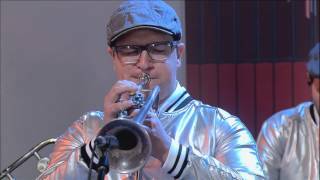 OBMJ - Ao Vivo - "Ska around the nation"